Squarespace and WordPress are two popular website builders that allow you to easily create a website without any technical skills or programming knowledge. Recently, our readers asked us to compare Squarespace vs. WordPress because they were seeing a lot of commercials on TV for both platforms. In this article, we will compare Squarespace vs. WordPress with the list of pros and cons for each platform. Our hope is that after reading our comparison, you can pick which one is better for you. Note: This comparison is between Squarespace vs self-hosted WordPress (not WordPress.com). See the difference between self-hosted WordPress vs WordPress.com. Since we want to create the most detailed WordPress vs Squarespace comparison, we have broken down the article into multiple sections. We will look at each section and see which platform offers the most benefit to a beginner level user. Most business owners and beginner-level users are not familiar with HTML, CSS, and other code related things. They want a platform that helps them easily create a website without hiring a developer. Let’s see how both WordPress and Squarespace stack up in this category. WordPress is the top choice among users who want to start a blog or small business owners building a DIY website. Over 32% of all websites are powered by WordPress. While WordPress is fairly intuitive and easy to use, there is definitely a slight learning curve. Beginners will need to familiarize themselves with WordPress terminology and concepts such as difference between posts vs pages, categories vs tags, understanding themes and plugins. 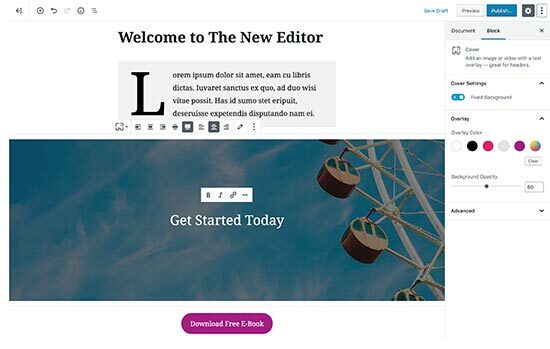 The default WordPress content editor is fairly easy to use. It comes with custom blocks to add content elements to your pages, so you can build beautiful layouts with media-rich content. Despite the slight learning curve, in our experience, most users quickly adapt to WordPress. Unlike WordPress, Squarespace does not come with a lot of choices. This lack of choice makes it very simple and easy to use. Even the absolute beginners can quickly write content and publish it. 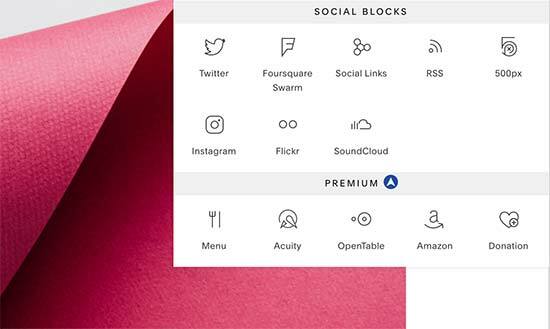 Squarespace also uses a block editor similar to WordPress. Adding images, videos, and audio files is simpler than WordPress. There are plenty of content blocks, and layout control choices in the block editor. 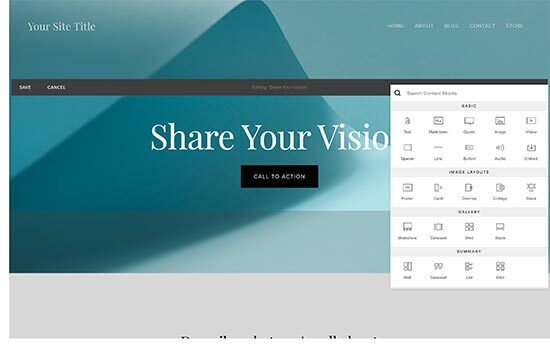 Squarespace lets you customize your templates and pages using a visual editor. However, you are limited to the options available in the customizer. It is a controlled environment, which means your options are limited. Squarespace fares a little better than WordPress out of the box in terms of ease of use for absolute beginners. However it’s limited features might not be ideal for all business owners. On the other hand, WordPress offers beginners a lot of choices right from the beginning which might be confusing at first, but it is a lot more flexible in the long run. There are several WordPress page builder plugins that you can use to create completely custom websites with drag and drop (without hiring a developer). Knowing how much each platform cost is important in making a business decision. Let’s look at how much Squarespace cost vs. how much WordPress cost. WordPress itself is free. You are free to download, use, and build upon WordPress. It is an open source software with a GPL license which gives you all the freedom and control. In order to build your website with WordPress, you will need to registar a domain and signup for a web hosting account. Depending on your needs, you can choose a shared hosting plan, VPS hosting, or even managed WordPress hosting. Shared hosting plans work for most small personal and business websites. See our guide on how to choose the best WordPress hosting. With over 6800+ free templates and 54,000+ free plugins, you can run your website for as low as $2.75 per month (which includes your domain name and hosting – we recommend Bluehost or SiteGround). One of the reasons for WordPress’ popularity is that the overall cost of building your website with WordPress is very low. Apart from that, you can change your hosting plan as your site grows. This means you will only pay for the resources you actually use, so it’s easier to control the cost of your website. We have a detailed article on the cost of building a WordPress website and how to keep it under budget. 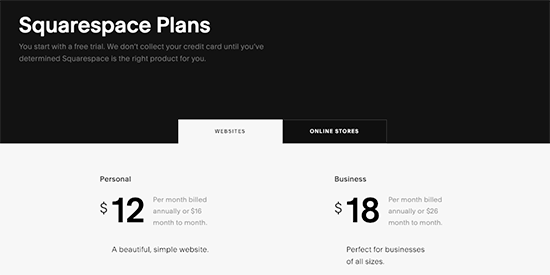 The personal plan for Squarespace starts from $12 per month (billed annually) or $16 month to month. That’s a little more than a shared hosting plan for WordPress. However, unlike a shared WordPress hosting plan, this personal plan comes with very limited features. You can only add only two contributors to your site, and you cannot sell products. Whereas you can start an online store with WordPress for less than that. Squarespace business plan starts from $18 per month (billed annually) or $26 month to month. It includes eCommerce support, but they charge a 3% transaction fees. The business plan comes with unlimited contributors, pages, and additional advanced features. They also have separate plans for online stores starting from $26 per month with no additional transaction fee. WordPress beats Squarespace with flexible pricing plans available from a variety of web hosting services from around the world. The cost depends on how much resources you use, and you get access to all WordPress features right out of the box. 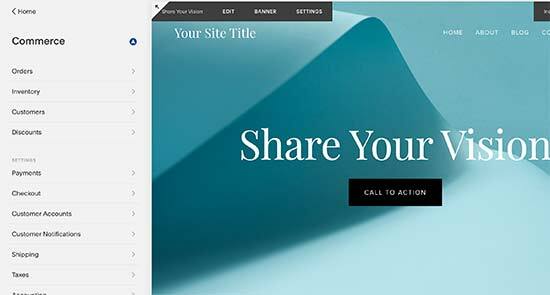 Both WordPress and Squarespace come with ready-made templates and design tools to make it easy for you to create a custom website. 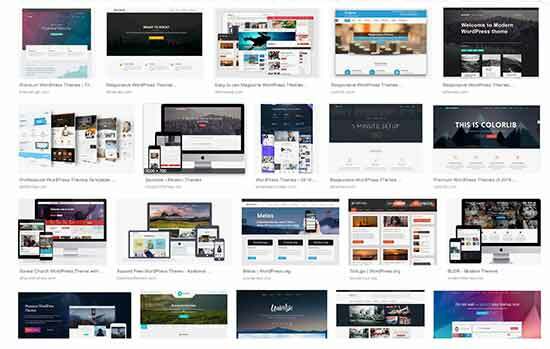 Let’s see which one offers you more choices and tools to create well-designed websites. WordPress offers access to thousands of free and paid website templates. These templates are highly customizable, allowing you to use your own website logo, colors, upload your own images, and more. Many WordPress themes come with multiple layout choices, drag and drop page builders, sliders, photo galleries, and tons of other features. No matter what kind of website you are building, you will find hundreds of professionally designed templates for the job. Many beginners find this abundance of choices a bit overwhelming. Here are some of our expert-picks of the best WordPress themes for different kind of websites. For more on this topic, see our article on how to choose the best WordPress theme for your website. Alternatively, you can also start with the Divi Theme which is a master theme with a lot of custom skins and complete drag & drop control. 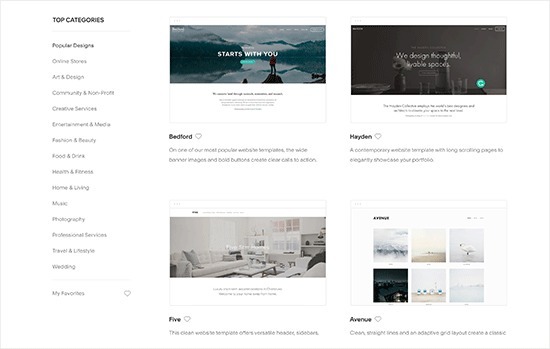 Squarespace offers ready-made website templates neatly organized into different categories. There are themes for all popular website categories, with professional designs that look good on all devices. However, this is a big area where Squarespace seriously falls behind. The number of pre-made templates are very limited, and your design options are also limited to the set of features available in the Squarespace customizer. Themes come with a limited number of layout choices with each template. You can still do basic colors, fonts, website logo, and other things, but these templates are not as customizable as WordPress themes. WordPress comes out as a clear winner in terms of design choices, customization options, and flexibility. Squarespace offers great looking templates, but they are limited in numbers and are not very flexible. All website builders come with a collection of built-in features. As your website grows, you would want to add more features and connect your site to work with third-party tools and services. Let’s see how WordPress and Squarespace perform in this regard. The real power of WordPress comes from its massive ecosystem of plugins. These plugins are like apps for your WordPress site that you can install to add new features or change the default behavior of your site. There are currently more than 54,000+ free WordPress plugins listed in WordPress.org plugin directory alone. There are also thousands of premium WordPress plugins available from third-party websites. If you can think of a feature, there is a good chance that you’ll easily find a WordPress plugin that does it. WordPress plugins are so robust that many of them are full-fledged platforms with their own add-on plugins and a thriving community built around them. 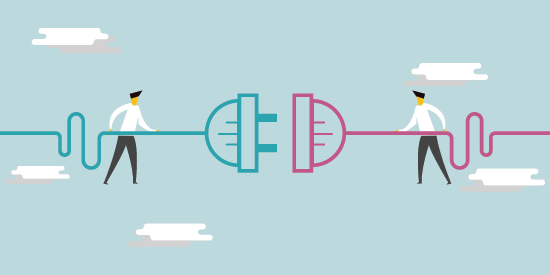 We have a list of the essential WordPress plugins that every website should have. Then you have specialized plugins to create ecommerce websites, build membership community, sell online courses, and more. To learn more see our article on how to choose the best WordPress plugin. Because WordPress is the most popular website builder, most third-party services and tools have their own WordPress plugins which integrate their services to a WordPress website. All top email marketing services, SEO tools, live chat software, and lead generation tools offer seamless integration with WordPress. Squarespace comes nowhere close to WordPress when it comes to extensibility and integrations. It is possible to add third-party integrations and customizations but unlike WordPress, Squarespace doesn’t have powerful APIs that developers can build upon. They do provide some official third-party integrations, but even those are limited and not all popular services are supported. 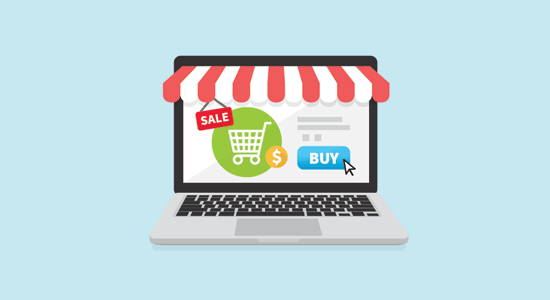 For eCommerce, you can use their built-in platform, but you cannot extend it in any way. Squarespace lacks the functionality to allow custom websites that you might need for your online business idea. WordPress is the clear winner here with an incredible ecosystem of thousands of plugins and integrations at your fingertips. Squarespace, on the other hand, has very few integrations and many of them are very limited. WordPress allows you to integrate and use any payment processor or platform you want. There are many WordPress plugins that allow you to easily accept online payments using Stripe, PayPal, Google Checkout, 2Checkout, Payoneer, Skrill, and even Bitcoin. WordPress has plenty of eCommerce plugins that can turn your website into an online store within minutes. World’s most popular eCommerce platform, WooCommerce, is a WordPress plugin. WooCommerce comes with its own ecosystem with its own WooCommerce add-ons and thousands of WooComemrce ready themes. There is no limit on how many products you add to your website, how you display them, or how you sell them. You can run your own affiliate program and use all the tricks to grow your sales without any restrictions. E-commerce is limited on Squarespace. You can only use Stripe and PayPal for payment processing, which are only available in select few countries. There is no other payment system available which restricts your ability to accept payments from a larger global audience. For a growing business, starting with such limitations is not a great idea. Apart from that, you can only sell products in Business or Commerce plans. Let’s say you want to sell only one product, you will still have to pay for the Business plan, and the yearly costs of hosting a site with just one product to sell will be way higher than a shared hosting plan or VPS for WordPress. As for third-party services, there are very few external services that you can integrate with your Squarespace website. This affects how you promote your website and the things you can do to make more sales and grow your business. The neat part about WordPress is that you can also use it alongside with Shopify. See our comparison of Shopify vs WooCommerce. When signing a business agreement, you always have safety clauses. Such as if you’re not happy, then you can leave without any hassle. This concept extends to online businesses as well, and it is called data portability. If you’re not happy with the platform, then you should be able to take all your work and move it somewhere else. Let’s look at how WordPress and Squarespace compare in data portability and the freedom to switch. 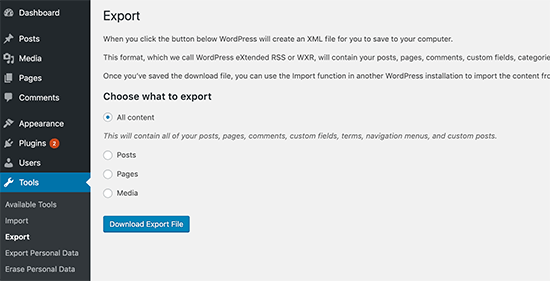 WordPress comes with built-in tools to easily export all your data. Not just your content and images, but you can also backup your themes, plugins, and the entire database. See our list of the best WordPress backup solutions. You can then easily move this content to any other Content Management System you want. You can store your content anywhere else and change web hosts at any time you want. 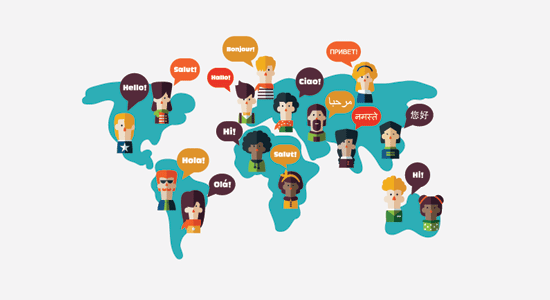 We live in a global world and many businesses cater to a multilingual audience in different geographical locations. Let’s see how Squarespace and WordPress handle languages, multi-lingual content, and geographical locations. WordPress is fully translated into dozens of languages. Users on a WordPress site can choose their own language from their profile settings. Most WordPress themes are translation ready and all popular WordPress plugins are also translated into many languages. Basically, you can build a WordPress website in any language you want. You can even translate WordPress yourself if your language is not yet available. WordPress does not come with multi-lingual functionality out of the box. However, there are excellent plugins to create multilingual websites that are SEO friendly and incredibly feature rich. Squarespace platform is fully translated into six languages (English, German, French, Spanish, Italian, and Portuguese). You can change your site language and choose different timezone / country. You can only use currencies supported by Stripe or PayPal for your store products. You can create multilingual pages by basically duplicating your pages. You will have to manually create a site structure or create different sites for each language (You will be billed for each site separately). WordPress is way ahead in terms of languages and localization options. Squarespace again comes out as very limited and totally inadequate to create multilingual websites. WordPress is a far superior platform than Squarespace when it comes to building a website. Here is a quick breakdown of pros and cons of both platforms. Weighing in the pros and cons, we can confidently say that WordPress is a better platform to start a website. The freedom to grow your website as you see fit, is important for all businesses. You should not trade that for any cost. WordPress provides you with this freedom at an much lower cost than all other platforms. 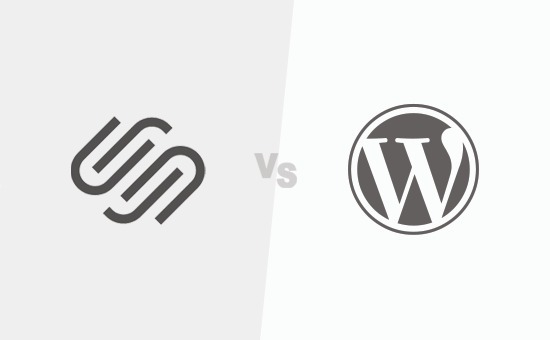 We hope this article offered you a side by side comparison of WordPress vs Squarespace. You may also want to see our complete WordPress review for a detailed overview of the platform.